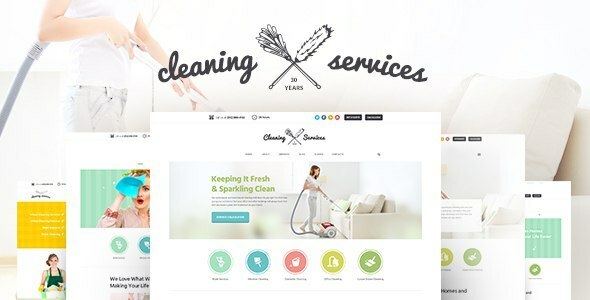 For the owners of cleaning service, maid service agency, janitorial and maintenance services companies, Ancorathemes has crafted beautiful & colorful Cleaning Company WordPress theme. The catchy vibrant design will give your website fresh and crisp look. The layout includes everything you might need to present your business firm to your potential clients. Besides full service and product overview, your customers will find a quote request form on your website, using which they can get an accurately calculated cost for the specific type of work to be performed around their house. 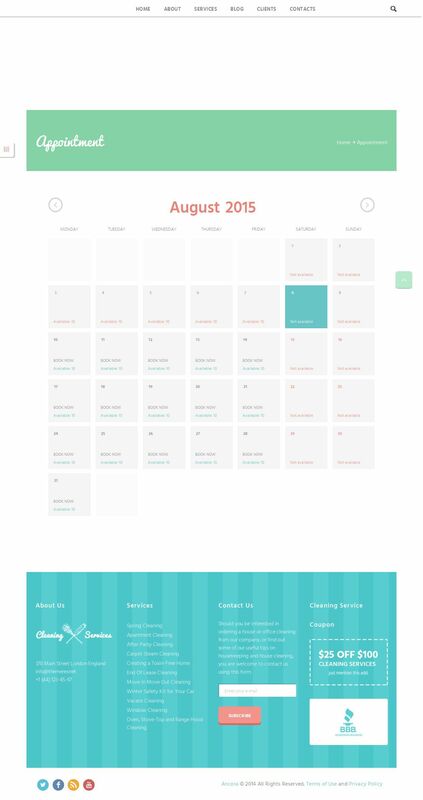 The appointment calendar is a great feature if you wish your clients to order cleanings beforehand. Advanced theme options allow users to customize Cleaning Company with no efforts. The theme is compatible with: Appointment calendar, Revolution Slider, WPBakery Page Builder (Visual Composer), Timeline plugin, WooCommerce & PO Composer. A full pack of shortcodes and custom widgets contributes a lot to quick and easy content and layout management. Supplied with helpful extensive documentation, Cleaning Company is a perfect WordPress product to deal with.